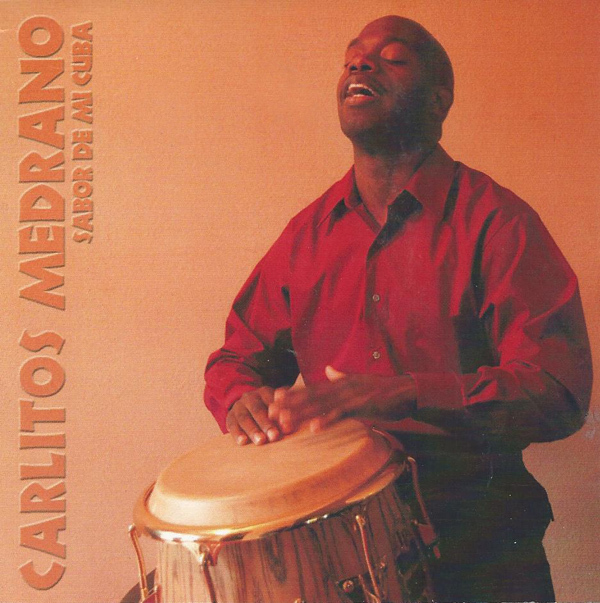 When Cuban percussionist Carlitos Medrano was approached by Bay Area event coordinators to develop a new salsa band, he decided to compose new material instead of doing covers of salsa hits. The result was material for his first recording as a leader -- Sabor de mi Cuba . Click here for CD info . It's a strong recording, full of elaborate, innovative arrangements, interesting use of coros and rumba and jazz influenced dance music. Carlitos composed all the songs, did the basic arrangements and then summoned some of his friends to embellish and complete the arrangements - Osiris Martínez (formerly of Manolito y su Trabuco and Pupy y Los Que Son Son), Jesus El Niño, Alexis Bosch (Havana Ensemble), and Miguelito "Pan Con Salsa" (formerly of NG La Banda and Manolito y Su Trabuco). The result is a beautiful, swinging recording which should establish Carlitos as a composer, percussionist and band leader to be reckoned with. The lead singer on the recording is Aldo Isidro Miranda Álvarez, formerly of Azúcar Negra. Alexis Bosch plays piano, Carlitos' brother Michael plays drums and timbales, Robert García plays trumpet, Eduardo J. Sandoval plays trombone, Roberto Vásquez Ley plays bass and Carlitos on percussion, congas, bongó and timbales. The project was recorded and mastered in the prestigious Egrem Studios in Havana, Cuba. Carlitos came to the US in March, 2008, at the age of 24. 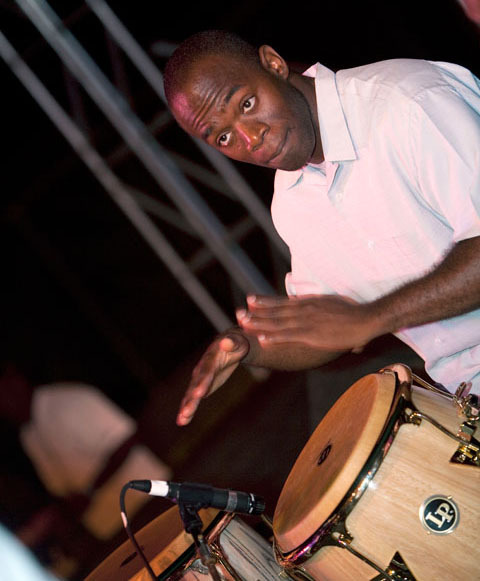 While growing up in Cuba, he taught himself bongó and congas. He eventually studied at Escuela de Superación Profesional de Arte "Félix Varela y Morales and gravitated toward Latin Jazz. While in Cuba, Carlitos had the opportunity to play with Orlando Sánchez of Mezcla, Alexis Bosch (Havana Ensemble) and the great Bobby Carcassés. Major influences include Eliel Lazo Linares, José Luis Quintana "Changuito" and Bobby Carcassés, as well as Maraca, Los Van Van and Klímax. Carlitos has started two projects: Vinales Project (Latin Jazz) and Sabor De Mi Cuba (Cuban style salsa) and hopes to generate enough gigs to keep these projects going. The recording Sabor De Mi Cuba is a clear indication that Carlitos and his music deserve recognition.